Advertising and marketing has come a long way since the days of Mad Men. Or at least, it should. When there were three television networks, it made sense to spend good money to advertise on television – you were pretty much guaranteed a good audience to reach anyone in the United States. But today, the audience is much more global. The internet can put you in the homes of nearly anyone in a first or second world country. But with thousands of television channels available, how do you decide where to spend your money? More channels likely means fewer people watching each channel. Well…one thing hasn’t changed so much. Word of mouth. Wright lives up to this promise. I don’t work for a major corporation, and I’ve not even dabbled in marketing, so some of this might already be common knowledge, but I found the book incredibly helpful and I will be putting in to practice many of the tips I’ve gotten from here to promote the small non-profit organization that I work with. I found this book quite easy to read and very informative. A lot of it seems to be common sense, but as is often the case, it sometimes takes a professional to remind us to use common sense. Looking for a good book? 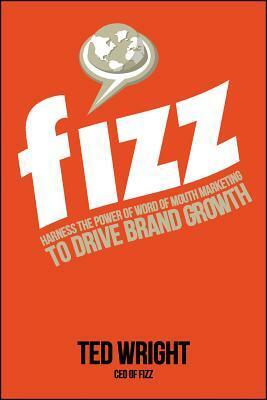 If you are in any way looking to promote something – your self, your business, your favorite charity – then do yourself a favor and read Fizz: Harness the Power of Word of Mouth Marketing to Drive Brand Growth. ¹All quotes from an advance reader copy of the book and may not reflect the printed work. I received this book free, from the publisher, through Netgalley, for an honest review.